“By this rocket, we return them to the cosmos.” It has been 25 years since an apocalyptic plague struck the world, and, after surviving the aftermath, OPUS: Rocket of Whispers centres upon the desperation that surrounds John Mason and Fei Lin. With Malkuth now in ruin, the town had once been where space burials took place. It was witches that performed these important ceremonies, an ancient tradition in which they guided the souls of the deceased to a rocket that was then launched into space where they could rest among the stars. But, when the unexpected plague reduced the world’s population to fractions of a percent in just a year, the witches soon prayed that one day they could return to rebuild their civilisation and faith. It is John, a rocket engineer who was once fascinated by space burials as a young boy, and Fei, the last witch from the Northern Church of Earthology who had been safely placed in cryogenic sleep, who now carry that responsibility. Taking shelter at the Opus Rocket Factory, John scavenges for resources that Fei can use to construct her rockets with. Things could be going better, though. Rocket 12 has failed, Fei only seems to recognise why the rockets that she has created don’t succeed in hindsight, and John is constantly haunted by the ghosts of those that died from the plague that are unable to return to the stars. In this atmospheric and emotionally-driven adventure, you play as John. 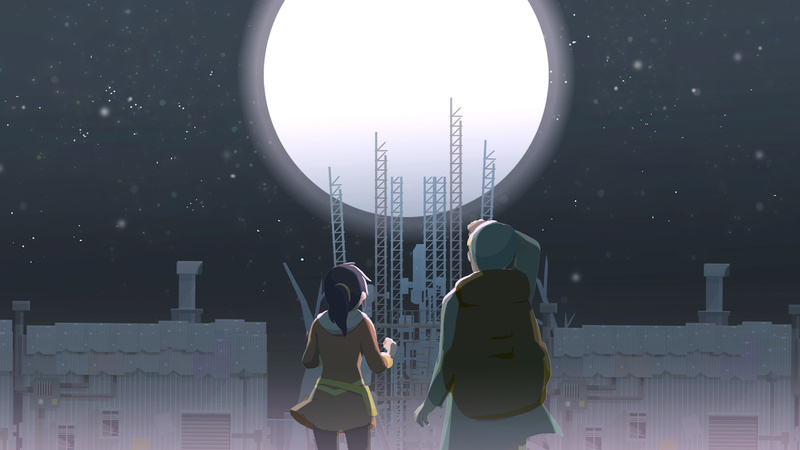 From a top-down perspective, you must set out in the post-apocalyptic winter to search for the resources needed to achieve your unimaginable goal in Malkuth. It’s the fetchiest of fetch quests, as you look to recover what you can before night falls and more malicious ghosts appear. But, while you are told the locations of the key rocket parts, it can be a struggle to work out exactly where to find them. OPUS: Rocket of Whispers needed a map, but, instead, chooses to guide your path with ghosts, with mixed results. Every interaction that you make to retrieve materials and parts takes time, meaning that you need to be smart about what to take and leave behind. Otherwise, you can make a mental note to return to the same location the next day. While the parts that you collect are used to slowly piece together the rocket, the materials are needed for John to make equipment to help you reach more areas. That could be a flashlight to explore darker areas, a metal cutter to break down scraps or cut through fences, snow gear to keep you warm, maps to let you fast travel, a tent to camp overnight when needed, and a hunting rifle to scare away wolves. These collectively help to widen your area of exploration, rather than impacting on the game in any profound way. I’m sure that the mere mention of fetch quests will fill many with dread, but there is far more to OPUS: Rocket of Whispers than that. Sure, repetition can soon set in, but, with a few breaks, it never became bothersome enough to stop me from seeing the game through to its conclusion. That’s because it is rich in detail. Everywhere that you wander has a story to tell whether that be from recovering long abandoned items or helping ghosts with their unresolved wishes, letting you learn more about what happened in the past. While memories and cutscenes share John and Fei’s backstories, which are beautifully animated moments that hold as much surprise and wonder to help to keep you captivated from start to finish. Everything has been so carefully placed to breathe life into an otherwise ruined world and intrigue you enough to keep exploring it. Created with the same, or at least similar, art direction as seen in OPUS: The Day We Found Earth, it isn’t hard to lose yourself to the game’s heartwarming charm. The snowy wilderness is minimalist by design, and, while there are far too many trees to count, walking around and suddenly stumbling on something that you have never seen before lends a great sense of self-discovery to the experience. Throw in some wondrous music penned by composer Triodust, and it’s hard not to appreciate how special it all starts to feel. The story that OPUS: Rocket of Whispers has to tell is a meaningful one, that touches on mental health issues such as loneliness, dealing with grief and low self-esteem. It is clear to see that it is a game that has been created from the heart, and, while much of it will be spent scavenging for rocket parts, it is the message that it imparts that will linger in your memory for a long time to come.